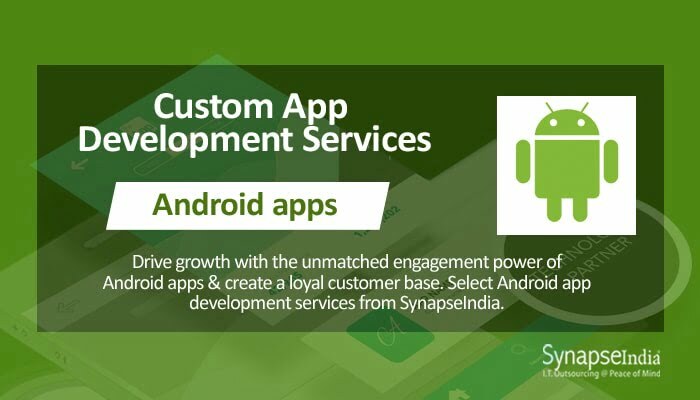 SynapseIndia has a range of efficient custom app development services that cover all kinds of apps – including iOS and Android apps. With an astonishing increase in the popularity of smartphones across countries and age groups, businesses can tap into the immense potential offered by mobile apps. Customizability has become one of the most crucial factors when it comes to development and implementation of mobile apps. As every industry greatly varies in terms management strategies like customer engagement, following a one-size-fits-all strategy seldom give results. Therefore, businesses must deploy an app that perfectly suits their business model. That's where the role of SynapseIndia comes in. The company has a track record of catering to every kind of business – from one-person enterprises to large corporations. The company has always satisfied the clients by delivering projects in a remarkably shorter period of time. This is made possible by the use of most advanced software development technologies. Besides, developers working in the company have remarkable programming expertise and problem-solving skills. A combination of human ingenuity and the power of technology. The custom app development processes are carried out under stringent adherence to international quality standards. A team of articulate quality analysts ensures that the company always meets clients' expectations in terms of service quality.